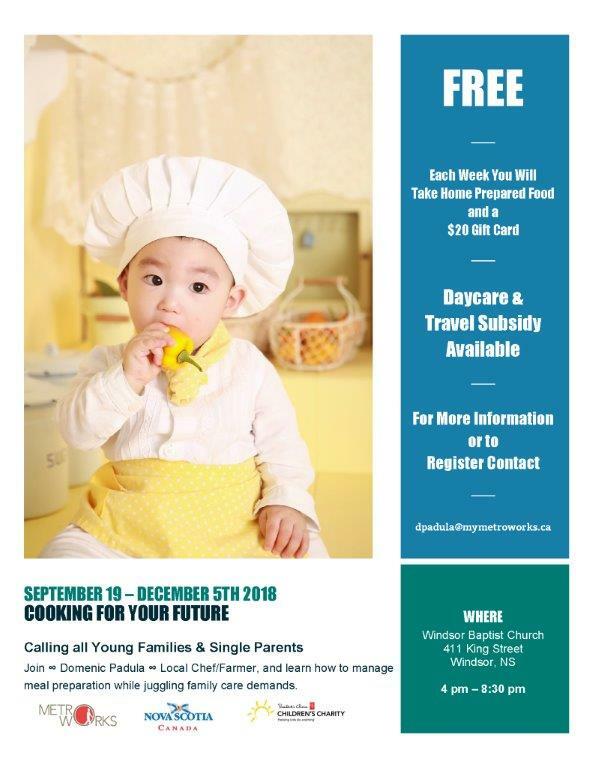 Calling all young families/ single parents! Join local chef and farmer, Domenic Padula, and learn how to manage meal preparation while juggling family care demands. Each week you will take home prepared food and a $20 gift card. Daycare a travel subsidy are available as well.